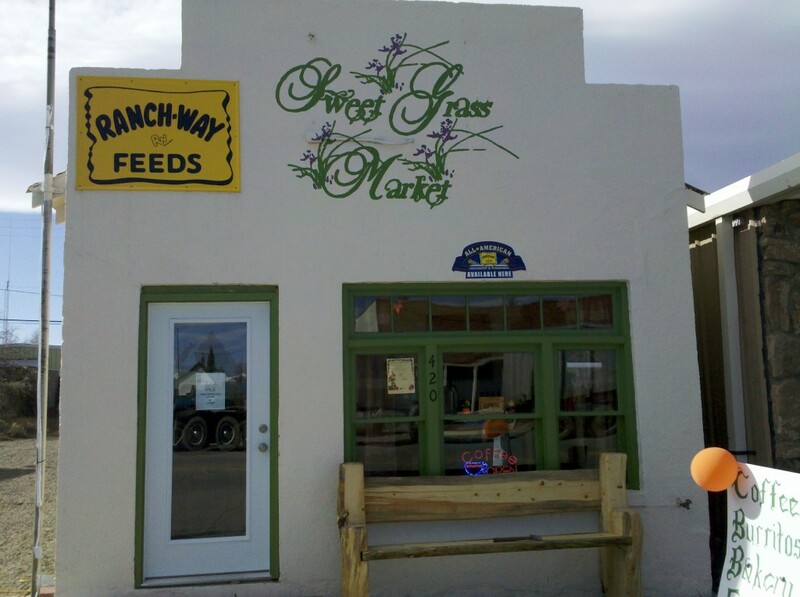 Sweet Grass Market ← Something for All Your Needs, From People to Livestock Feeds! Sweet Grass Market is now online! You can now place orders for any product from the Ranch-Way Feeds product line from the Sweet Grass Market Online Store. Soon we will also offer various foods and other grocery supplies as well as an eclectic selection of items from United Hardware and Weaver Leather. Come in for a cup of your favorite espresso or french press coffee along with one of our fresh baked cinnamon rolls, muffins or a slice of pie. We are also making our own breakfast and lunch burritos. Have you tried an OOGave yet? Coming Soon to our Online Store: Produce, call for availability and pricing. Feel free to drop us a line by leaving a comment below!